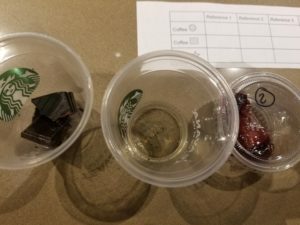 On Wednesday, September 27, 2017, I went to a coffee tasting that was focused on the education of learning and understanding the sensory references when describing coffee. This was an ambitious coffee tasting – the kind of thing that true coffee masters who hope to make a career in coffee might do. 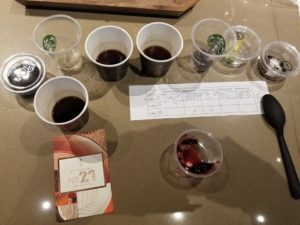 Let’s establish a few cornerstones of this kind of unique coffee tasting: The focus is on the “sensory references” vis-à-vis the actual coffee you’re drinking. 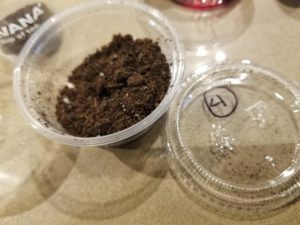 To be able to participate in or conduct this kind of coffee education seminar, you’ll need to understand what is the language we use to describe coffee and what does it really mean. Imagine that you’re enjoying a coffee and you think it tastes ‘nutty’. What does that mean? Is it more of an almond nutty or a peanut nutty or something else? Are chocolate, cocoa, or dark chocolate flavors all the same thing? No, they’re not. And experts in the field have determined that certain descriptions, like “citrus” have extremely specific references. The Sensory Lexicon tells you that half a gram of lemon peel with half a gram of lime peel will give you a “citrus” flavor. So when you say that you’re tasting citrus, that’s your reference point. What if you thought you smelled or tasted “orange”? What does that mean? The reference for orange is Tropicana Pure Premium Original 100% No Pulp Orange Juice. 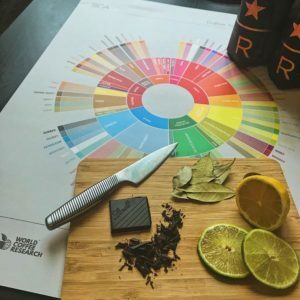 Over time, as your skill in tasting flavors begins to match flavors that are exactly on point with the references, you then develop the skill set to taste and describe coffee generally, regardless of who the coffee roaster is, or the growing region, or any other number of variables. 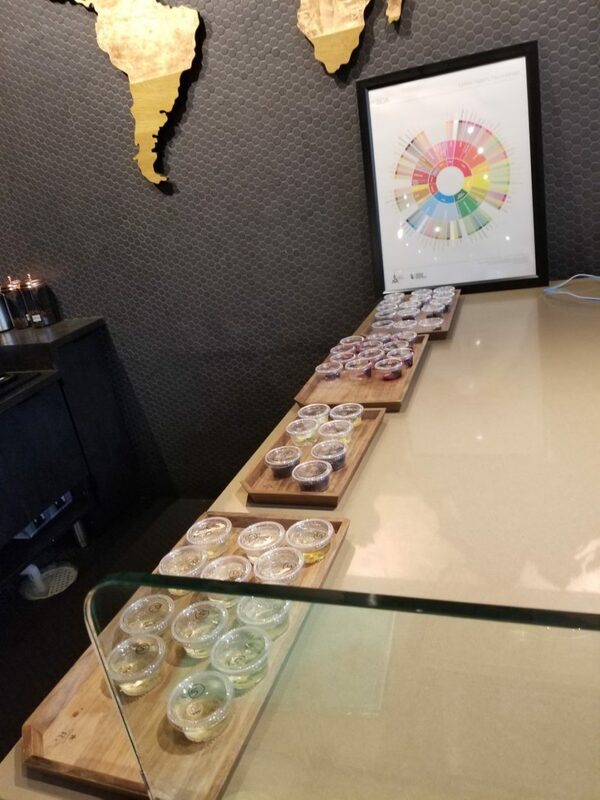 To set up this kind of coffee tasting, you would pick 2 or 3 coffees that you are already very familiar with – they’d need to be coffees that you already have a pretty clear understanding of what the flavor descriptors are, and hopefully have at least a couple of obvious flavor notes. Next, pick out some references that go with the coffees you chose. This will require that you analyze the World Coffee Research – Sensory Lexicon for references and then you go buy specific products. 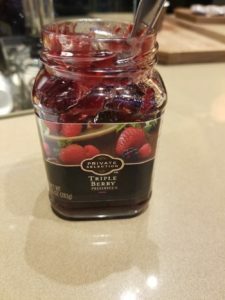 Do you want to highlight what “dark chocolate” is as a reference? You’d buy Lindt 90% Dark Chocolate. At this point, you’ve set up the basic game – Which references go with which coffees? To make it challenging, don’t tell your tasters which coffees you’re using until after they’ve made their guesses of which reference is associated with which coffee. Andie used little Reserve tasting cups and kept track of which coffees went in which cups, and then put a circle or square on a cup (and one cup was unmarked) to distinguish one sample coffee from the next. 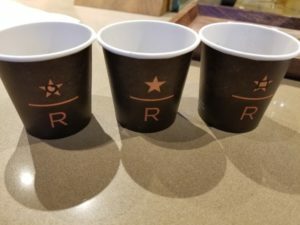 All of the 3 coffees were brewed via a coffee press. You can see, that’s one intense coffee education seminar! It was really fun to figure out which coffee went with which references! I think it’s very ambitious to use 3 coffees and 5 references. I think this could be just as fun with 2 coffees and 3 or 4 references. 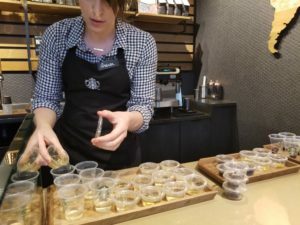 I snapped photos during the coffee event. Enjoy an assortment of pics below. 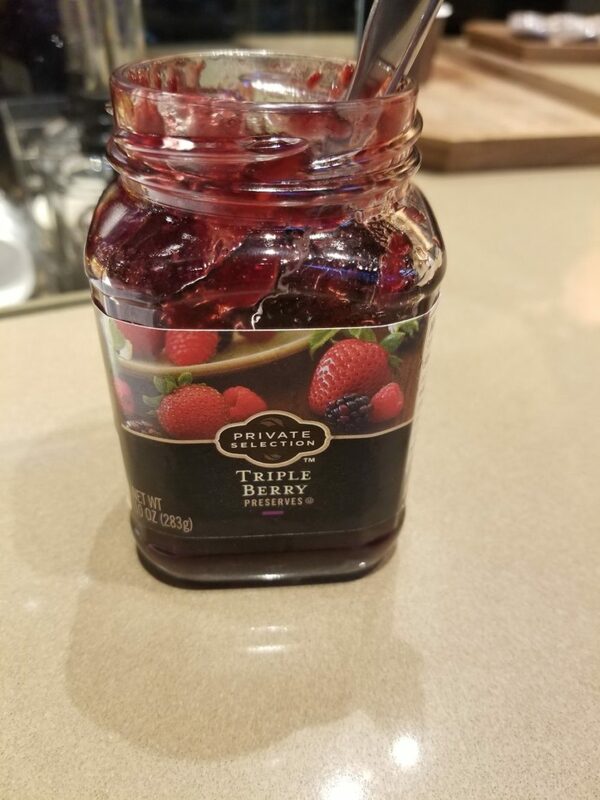 If you do try this in a store, please tell me about it! 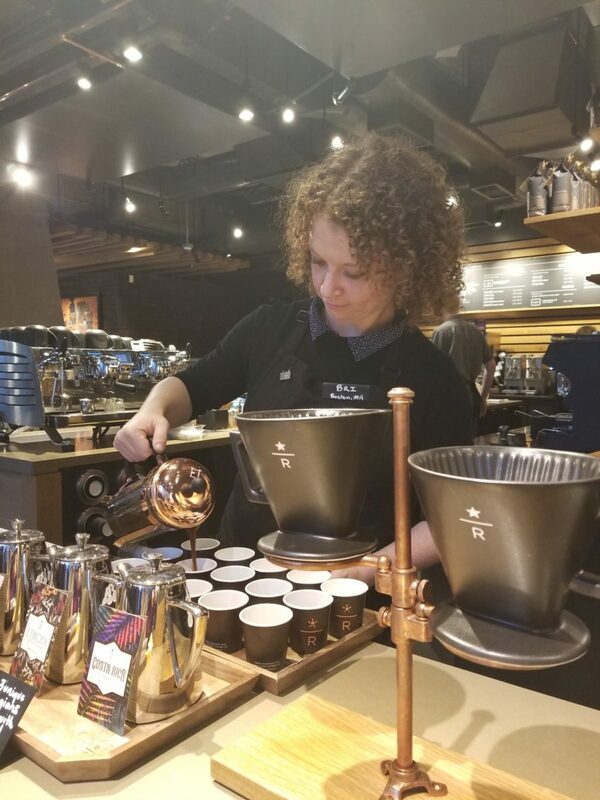 Credit for the lead image (the coffee flavor wheel with the cutting board and references) goes to the Starbucks at First and University store Instagram. 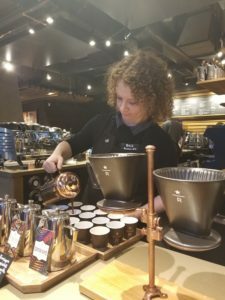 This store offers coffee education (open to the public!) every Wednesday night at 6:30 PM. 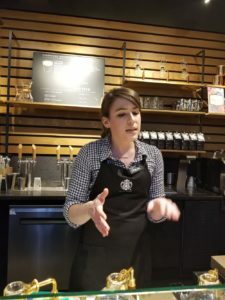 Jordan at East Olive Way Starbucks Leads a Tribute Blend Coffee Tasting.